With our groundbreaking CEREC computerized 3D technology, our trained team of dental experts can design perfectly color-matched, perfectly fitted dental crowns—all in 2 appointments. You will only need two-appointment procedure to have your tooth prepared for permanent restoration, and then returning to the clinic to replace your temporary crown. 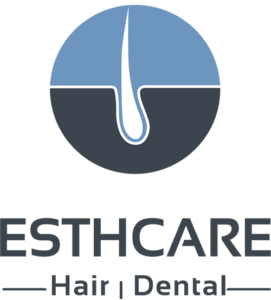 Esthcare revolutionized the cosmetic dentistry scene in Turkey by introducing modern technologies and using the best Martials from Liechtenstein. Utilizing these technologies with dental crowns treatment, there are no inaccurate impressions, no temporary crowns and no second visits. Dentists at Esthcare Clinic give the 110% of attention and efforts to complete your entire dental crown in one convenient visit. First of all our dentist at Esthcare Clinic Turkey will examine your teeth thoroughly. Then, your assigned dentist will take an optical impression of your teeth using a special 3D measurement. This type of dental technology takes every clinical of your case into consideration, creating the most accurate and precise dental crown. Next, these exact specifications are prepared in the laboratory. 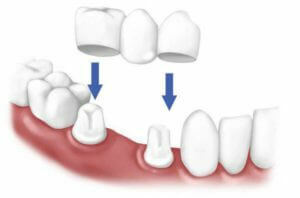 In 5 up to 7 days, the dental crown is ready fitted, polished and fixed in place. Depending on your unique situation and extent of dental work, the entire procedure might take more days and we will inform you before you get on the plane to turkey. How long do you I need to stay in Turkey for dental crowns treatment ? Maximum a week is enough for our experienced dentist to finish the work. Esthcare Clinic Dentists performing the crown restorations to avoid a multitude of problems including teeth sensitivity.